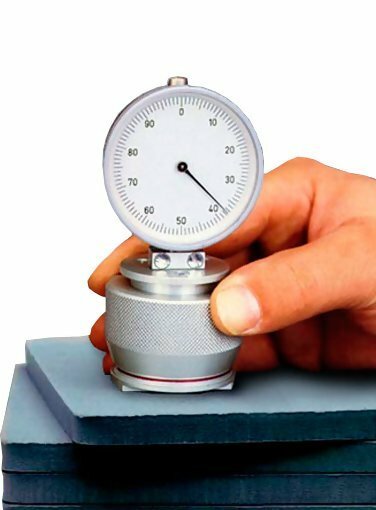 The Checkline HP Series Shore Durometer isdesigned to measure the hardness or firmness of a wide variety of parts and test samples. This Durometer features a unique spring-operator test pressure shell, which helps insure that similar test pressures are used for each measurement. This system significantly enhances the measurement repeatability, especially between different operators. Oversized flat bottom surface makes position of working face (area of contact as specified in ASTM/DIN Standards) convenient and consistent which limits variability between operators.